Experiencing SEC outage? Is Southern California Edison down right now, check the reports and outage map from here. SCE is an electricity supply company Southern California, USA and it provides service to 14M people. Edison International is parent of company, SEC itself generate, transmit and distribute electricity. 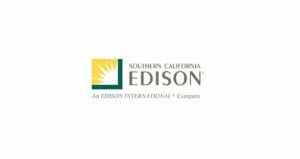 In California Southern California Edison provides services to central, coastal & southern regions. Southern California Edison also provides its phone number to report an outage, if you got one connect with them. To report an SEC Outage, you can connect with customer service number at 1-800-611-1911. Furthermore if want any updates about maintenance or outages call at 1-888-759-6056 and press 1. SEC outages can be of 2 types, one when the outage is due to repair work under progress. On the other side 2nd type of outage is due to upgradation of electrical equipments to meet modern needs. If you got any issue with the service you can submit the electricity outage report here. In addition to this SEC outage map is also given here, to indicate regions affected with outage.